Moto G2 is well known and very successful smartphone by Motorola, currently part of the Chinese multinational technology company Lenovo. Moto G2 and other devices launched in last few years like Moto E series, G series, X series has the stock Android with very less bloatware, whereas the look and feels are like pure stock android. Moto G2 got the Latest Android M OTA, but there are many users who wanted to explore and play more with their device like rooting and installing custom ROMs. To root or install any custom ROM/recovery bootloader should be unlocked. 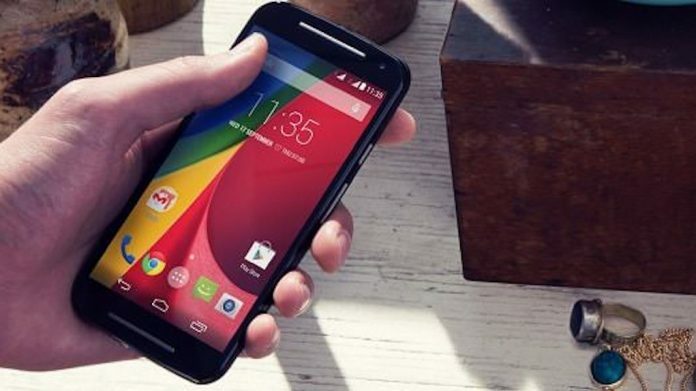 In this post, I’m going to guide you through the process to unlock bootloader Moto G2 ST1068, the process may also work on all variants of Moto G2 and other Moto devices launched after Moto G2 XT1068 but I have tested only on Moto G2 XT1068. Important:- Unlocking the device will void device warranty and it will also erase your data on the device, so backup your all data and be sure about what you up to. This is highly recommended to read this official article before moving any further. Download and install latest Moto USB driver on your PC. Click here to download the latest Moto USB driver. Enable USB DeBugging to do so go to settings on your device and tap on About phone scroll down to Build number and tap it seven times it will enable the developer options. Now in Developer options enable USB debugging. Connect the Moto G2 with your PC and let the system install/update drivers. Unplug the device from PC and turn it off. Now Press and hold the power button and volume down button together for two seconds and release the buttons. After releasing the button your device will boot into bootloader mode. 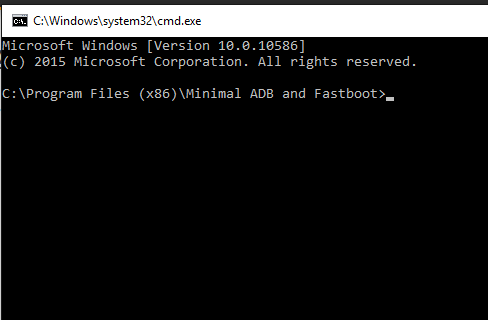 Open Minimal ADB and FastBoot terminal if you can’t find the shortcut on the desktop, open it from the program files >> Minimal ADB and FastBoot >> open file Named “py_cmd”. A command window will open. In command window type “fastboot devices” without ” ” and hit enter. It will display the attached devices. Now type “fastboot oem get_unlock_data” without ” ” and hit enter. After executing the above command you will get some value eg. Copy the string and paste in notepad or any text editor and then remove the (bootloader) and combine all text wothout any blanck spaces. Copy the combined string and keep handy. Now login to the official page by clicking here. If you don’t have any account on Motorola website yet then you will need to register or sign in with google plus. After signing in to the Motorola website a new page will appear scroll down the page and paste the copied combined string in the box saying “can my device be unlocked” scroll down more and click on “I Agree”. Now scroll up and click on “can my device be unlocked”. After verifying Moto will send you an email with unlock key. So check your mail for unlock key. Copy the unlock key you might have received in your mailbox and go to the ADB Fastboot command window again. Execute the command “fastboot oem unlock UNLOCK_KEY” without ” and replace the UNLOCK_KEY with received unlock key from the Motorola in your mail. The bootloader of your Moto G2 XT1068 is unlocked now. (bootloader) Not supported command in current status!